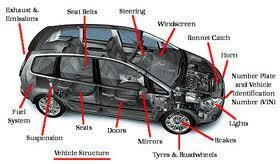 MGS are an approved MOT testing station for both Private & Commercial vehicles (Classes 4 and 7). We offer a while you wait or by appointment service and can supply an immediate estimate of costs for any remedial work required, without any obligation. The Ministry of Transport test (usually abbreviated to MOT test) is an annual test of automobile safety, roadworthiness aspects and exhaust emissions which are applicable to most vehicles over three years old in the United Kingdom if they are used on public roads. The name derives from the Ministry of Transport, a defunct Government department which was one of several ancestors of the current Department for Transport, but is still officially used. 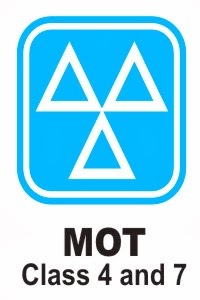 The MOT test certificates are currently issued in Great Britain under the auspices of the Vehicle and Operator Services Agency (VOSA), an agency within the Department for Transport. Certificates in Northern Ireland are issued by the Driver and Vehicle Agency (DVA). You can book in up to a month prior to the expiry of your existing MOT certificate and when your vehicle passes, we can simply add the month on to your new certificate.